Facebook counts the number of monthly active users on their site in the billions. With all the activity from friends, pages, groups and so on, it is easy to spend several minutes a day on Facebook. These minutes pile up quickly resulting in you spending an inordinate amount of time surfing through stuff on the Facebook news feed that you might even regard as totally irrelevant. I find myself in the same boat often. I cannot just quit Facebook as I do have many good friends here, am admin of a few pages and a member of some really awesome groups. How do I manage my time and make sure I just get the relevant updates? The way to go is to filter out any content that I deemed unnecessary from my news feed. If you find yourself in this situation often, there are a few things you can do to increase your productivity (Does it really apply in this context?) on Facebook. 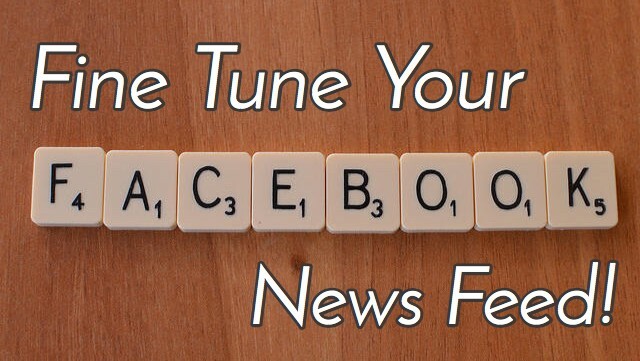 How Your Custom Facebook News Feed Gets Created? The exact recipe used in the making of your custom news feed is not disclosed by Facebook. There is an overview or even a semi-technical deep dive into the process involved in making of the algorithm that powers Facebook news feed, but it is constantly being updated and takes several, possibly thousands, of factors into consideration to build your news feed. 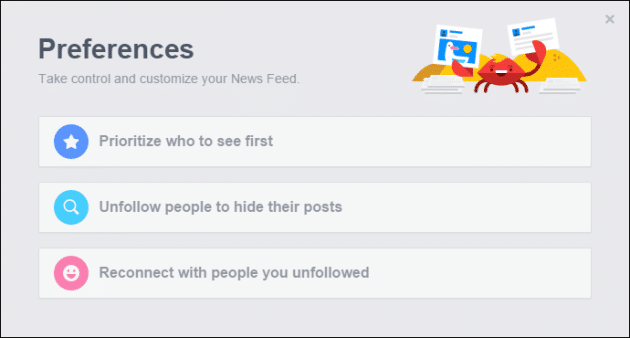 Facebook often releases news about any major changes that they are making to their news feed algorithm that you can check out in the Facebook Newsroom. At best, you can give hints, signals or feedback to tweak this algorithm to show what you like. This process is passive and never 100% effective. The things that you can actively control are detailed below. This option is like a toggle for controlling the sequence of stories in your news feed. Most Recent: A chronological list of stories shared by your friends, pages you like, groups that you are a member of and other apps. Top Stories: The news feed algorithm comes into play here and lists stories from your network in an order that it deems suitable. To choose either of these options, hit the drop down arrow besides ‘News Feed’ in the sidebar and choose your preference. My experience: By itself, this approach to filtering stories was not the most effective for me, unless I checked Facebook multiple times a day and was interested in only the top few stories. By default, I stick with top stories, as it has a good likelihood of showing personal stories that my friends are interacting with right at the top. Everybody has that ‘friend’ who is very active on social media, but you don’t always care about the updates. If you don’t want to unfriend that person, your best option is to hide all of his posts. You remain ‘friends’ on Facebook and he/she is none the wiser. My experience: Hide posts works adequately well but if I interacted with some of the posts from that person, the negative weight added by the hidden posts would be cancelled and he would reach a default preference. Personally, I don’t often bother with hiding posts. If the posts by an individual are adding zero value to my news feed, I prefer to unfollow. 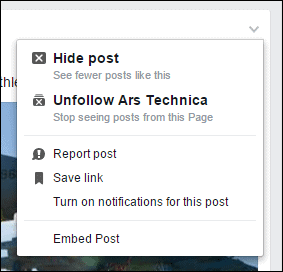 There are a few more options to control what content from that page is seen in your news feed. 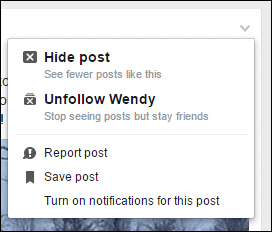 First, you can hide posts from the page or unfollow it the same way as it is done for friends. Default: Let the Facebook algorithm do it’s magic and decide what to show you from that page. Unfollow: Never see a post from this page. As an alternative, you might also want to remove your ‘Like’ for the page. It will have same effect. My experience: My settings vary from page to page. Updates from some of the pages I like are important to me and I prefer to see them first. Most of the ‘interest area’ pages are in default setting. I have unfollowed a couple of sites due to sheer volume of posts they publish on a daily basis. Hide post: Hide an individual post that you don’t like. Facebook will attempt to show lesser posts like that one. 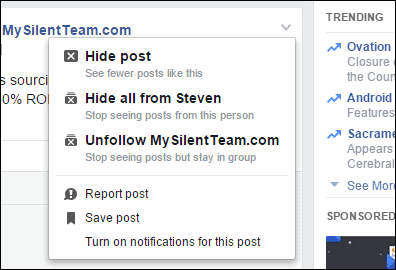 Hide all posts from an individual: Filter out posts in the group by one specific person. Unfollow the group: Stay a member of the group but stop getting updates in news feed. A simple way to segregate some of the content from your news feed into a separate interface is to create lists on topics of your interests. To do so, click on ‘Interests’ in the column on the left, click on ‘Add Interests’. Now, you can join a public list or ‘Create List’ of your own. You can add pages or friends to the list and all the posts from the list’s members will be seen here. To see a list, just click on the list’s name in the side column. My experience: Lists have been super effective for me to segregate content from pages and stories shared by my friends. In fact, I am also considering grouping up my friends into lists so that I can get all updates from a specific group of friends in one go. Facebook often inserts ads into your news stream and you can hide them to signal to Facebook that ‘This ad is not relevant for me.’ You can also mark it as useful if that is something relevant and you would like to see more of that type. 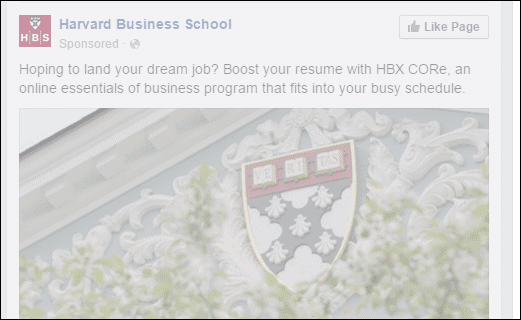 Obviously, there is no direct method of stopping Facebook from showing you all the ads. You can do that using external Adblock service. My experience: As a member of online publishing industry, I am personally not much in favor of Ad blockers. It hurts website revenue and thus leads to degrading of the content as there is a direct impact on the kind of people who the blog can hire. Occasionally, I do hide ads or give a feedback for some service’s adverts if its is a service that can be really useful for me. 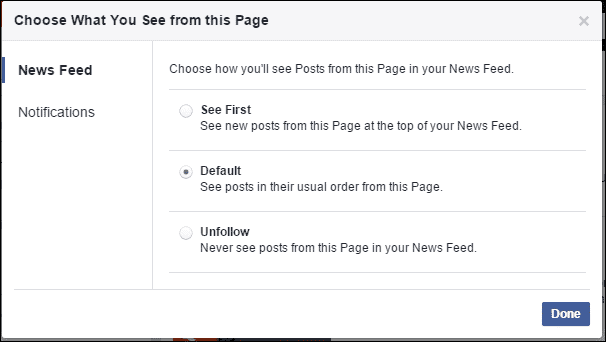 News Feed Preferences can be accessed by clicking on the down-arrow in the top right corner of the Facebook page. Select all the people and pages whose stories you want to see right away. A single location to hide stories from everyone who bugs you. Someone you followed had an enlightening moment and you want to follow them again? You can do so from here. 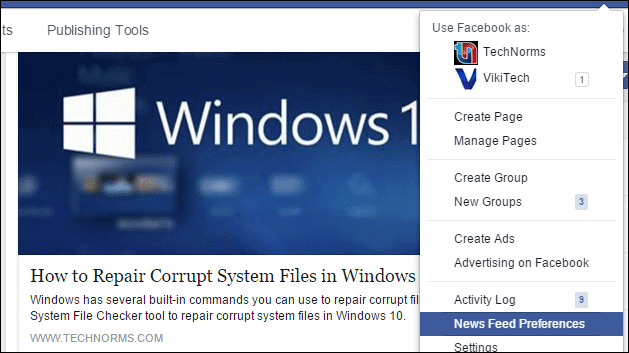 These are several extensions that you can use to tweak the Facebook interface and news feed. Some of these extensions have overlapping features and you can pick one that suits you best. Shows stories only from friends and pages you follow. Passive posts, inserted into your news feed because of some action taken by someone you know, can be completely hidden or faded away. 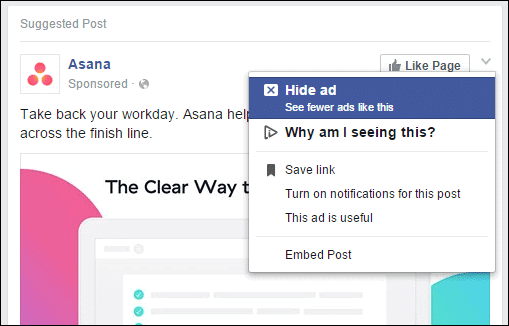 This one is a truly awesome extension that can hide ads, game spam, sponsored posts and other generally annoying stuff in your news feed. The extension has extensive settings and you can pick the components that you want to hide. This extension goes extreme and replaces your news feed with a series of posts from a decently broad set of sites. You can choose the days and times for detox to activate. 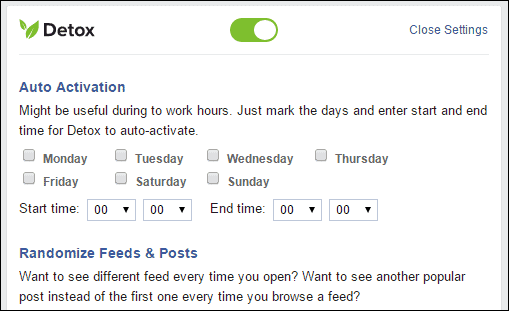 This can be useful as trigger for you to get off Facebook and back to some (hopefully) productive stuff.It’s easy to turn it On or Off using the toggle button at the top. My experience: FB Purity offers a balance of features and several customization options that make it my choice of extension to keep for Facebook. Occasionally hide posts from some friends. Moving towards hiding posts from several pages I like and instead add them to a private list. Don’t block ads, occasionally leave feedback. Have several friends and some pages prioritized and a few hidden. Using FB Purity and customizing the settings to get a Facebook interface I like. 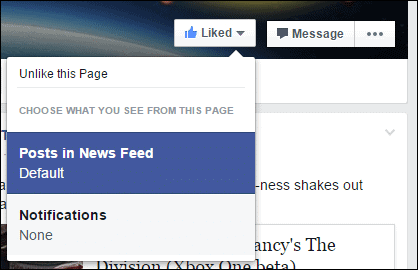 There are tons of settings that you can tweak to affect the news feed interface. These settings will probably change over time and we will get back to this article to update it periodically. 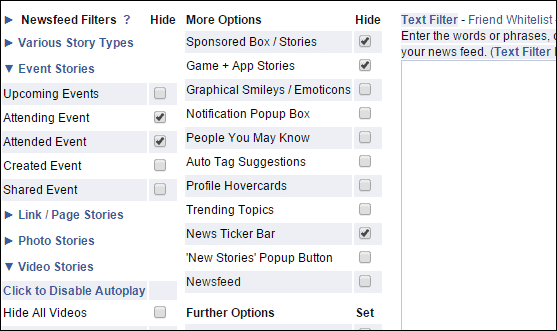 Till then, I hope to settle on a set of custom settings that will keep me from unnecessarily wasting time on Facebook. 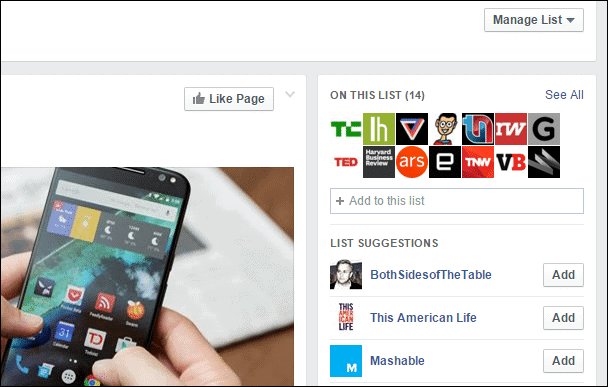 What settings, tricks or tools do you use for tweaking your Facebook news feed? We would love to hear about any tips that we missed in the comments below. Meanwhile, if you want to see our content in your news feed, head over to our Facebook page. How To Delete Any Facebook Application From Your Account?